Parting pain: On the contrary—pleasure! I don’t read self-help books. Unless you count Calvin and Hobbes. Oh yeah, those two can really show you how to get out of a pickle! In other words, have a snack and breathe. This is pure genius. With 7 days left, I am constantly reminding myself to breathe. Breathe. And make cupcakes. I’ve cupcaked 3 times in the last few days. When I’m in a pickle, I think cupcakes. 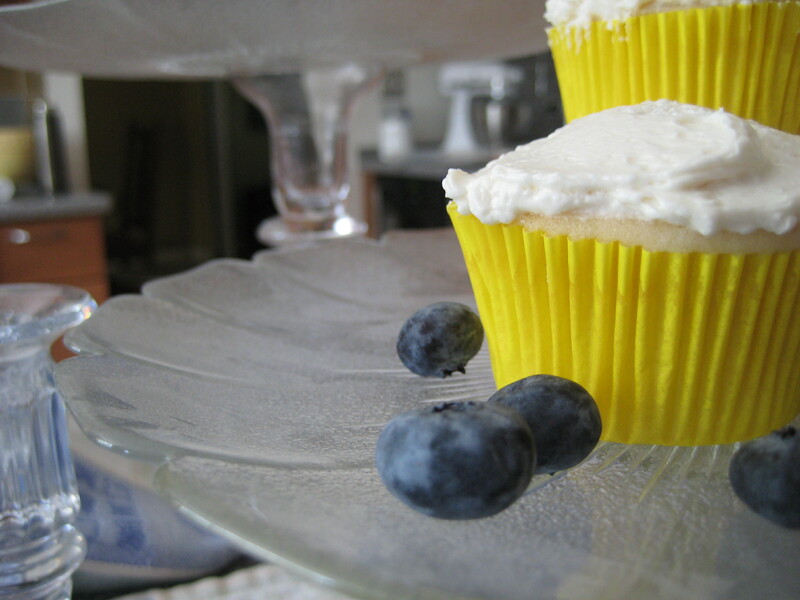 My affection for cupcakes and devotion to downsizing dovetailed this weekend when I saw a great suggestion on Wise Bread, a frugal-living website I follow. Take some glass candlesticks and glue glass plates to the tops: instant cake stands! In my case: Lots of candlesticks to downsize + lots of plates to downsize = Lots of gifts to give. Just add cupcakes. The first time Paul peeked into my family’s refrigerator, he counted 13 jars of pickles. Favorite episode of The Andy Griffith Show? “The Pickle Story,” of course. Pickles and cupcakes. Apparently my self-help reading also includes cookbooks.